Hello ... Hello ... my old friends ... It's great to see you once again! 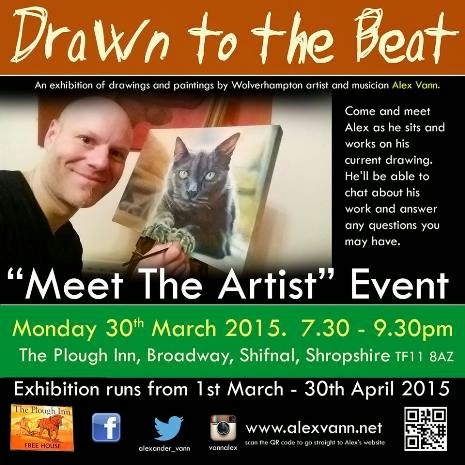 It must have been written in the stars that Yours Truly KJS would cross paths eventually with local artist and musician Alex Vann following an unplanned Sunday lunch at The Plough Inn in Shifnal, Shropshire last month. That is where I came across a flyer for an exhibition entitled "Drawn To The Beat" featuring the homegrown art [including The Beatles] as well as highlighting an opening acoustic gig by this Wolverhampton based multi-instrumentalist and songwriter, later featured in this ELOBF 'Caught Live' review. 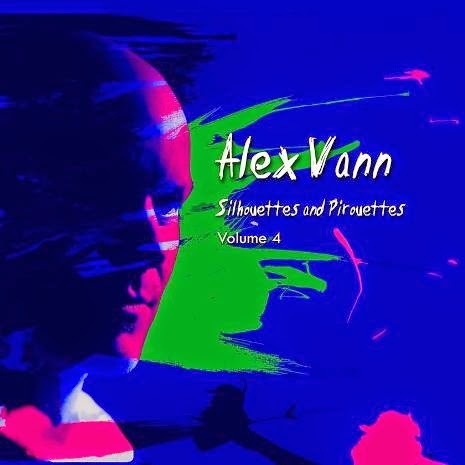 It was natural step, therefore, to grab a copy of Alex's latest recorded offering "Silhouettes and Pirouettes ~ Volume 4"  at the launch event being as one of the tracks "I Will Be The Air" closed out an impressive evening. 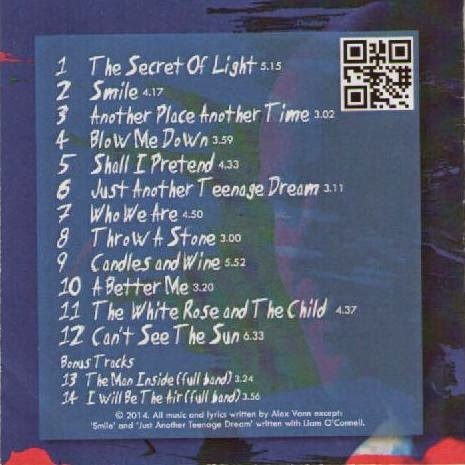 And what shall I say of this album? Only that it is an album of many musical styles and some memorable songs! As it is with his art, so it is with his music. Undoubtedly, The Beatles are an obvious influence throughout but this really is a delicious mixture of tempo and content that highlights a musician at the top of his game. ELO Beatles Forever [ELOBF] recommends "Drawn To The Beat" and "Silhouettes and Pilhouettes ~ Volume 4" by Alex Vann to those enlightened folks who enjoy the music of ELO, Jeff Lynne, Roy Wood, The Move, The Idle Race, 'Brum Beat', The Beatles and related artistes.